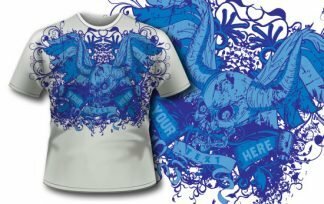 Awesome t-shirt template, this vector design has a unique vintage feel. 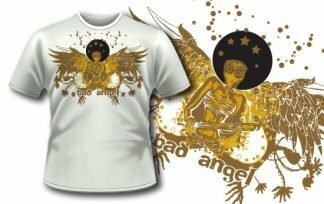 All of our t-shirt vector design templates can be customized with your brand name. 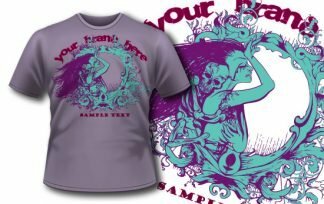 We did our best to keep the color palette within our t-shirt design templates at max 5 colors. If you need a more customized design please contact us.